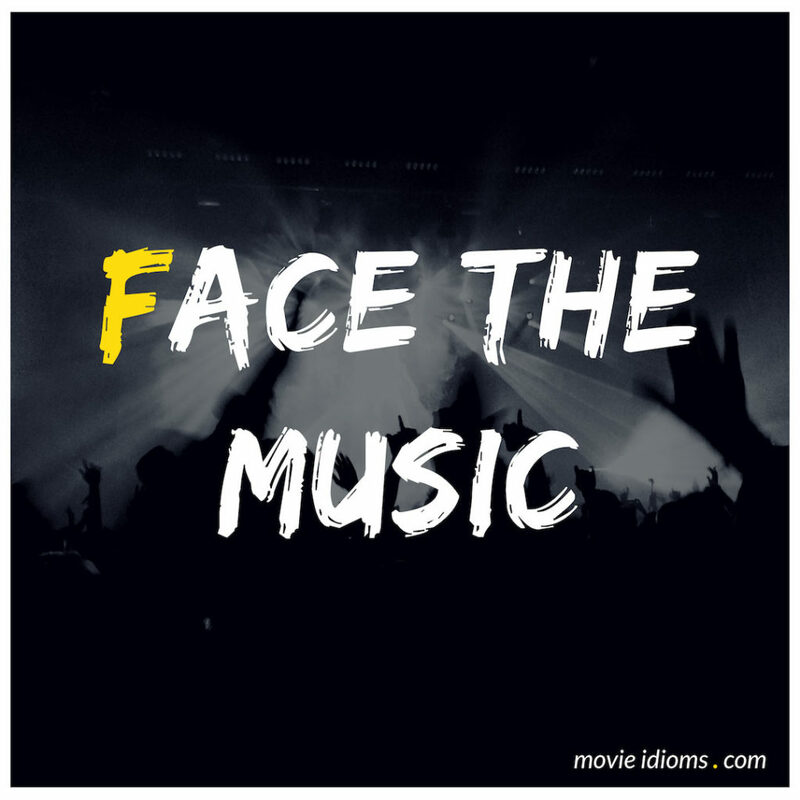 What does face the music mean? Lt. Col. Frank Slade: Oh uh, Charlie. About your little problem… there are two kinds of people in this world… those who stand up and face the music, and those who run for cover. Cover is better. Seven of Nine: You were a member of the Maquis. Starfleet Command will no doubt hold you responsible for a multitude of crimes. You will find nothing on Earth but adversity. B’Elanna Torres: Well, that’s looking on the bright side. Let’s put it this way… I’d rather face the music at home than spend the rest of my life in the Delta Quadrant. Chuck Gieg: In the end it just comes down to one thing… You can’t run from the wind, you face the music, you trim your sails and keep going.